We always enjoy hearing from people who share our interest in tree kangaroos and wildlife conservation. If you have a question, comment, or concern, please contact us. Program Director and Senior Conservation Scientist, Woodland Park Zoo, Seattle, Washington, U.S.A. Originally from New York City, Lisa started studying Matschie’s tree kangaroos in 1987 as part of her graduate studies at the University of Washington. She originally studied the behavioral development, mother-young interactions, and then reproductive biology and behavior of female captive tree kangaroos at Woodland Park Zoo and the Smithsonian Institution National Zoo’s Conservation and Research Center. Two key people at these institutions that introduced her to the world of tree kangaroos were Judie Steenberg and Larry Collins. Lisa brought the zoo-based knowledge of Matschie’s tree kangaroos to Papua New Guinea where no previous work had been done on this endangered species. She started the Tree Kangaroo Conservation Program in 1996 in collaboration with the people of YUS and is considered a leading expert on tree kangaroos. Program Manager, Woodland Park Zoo, Seattle, Washington, U.S.A.
Trevor joined the TKCP team in 2014. Trevor holds a BA in Business Administration from Western Washington University and an MA in International Relations from Webster University in Bangkok, Thailand, and spent several years managing long-term community development programs throughout Southeast Asia. 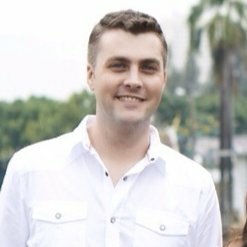 Trevor brings his knowledge of strategic planning, organizational development, and program management to support the continued success of TKCP. Kuna is from the Manus & Eastern Highlands Provinces of Papua New Guinea. 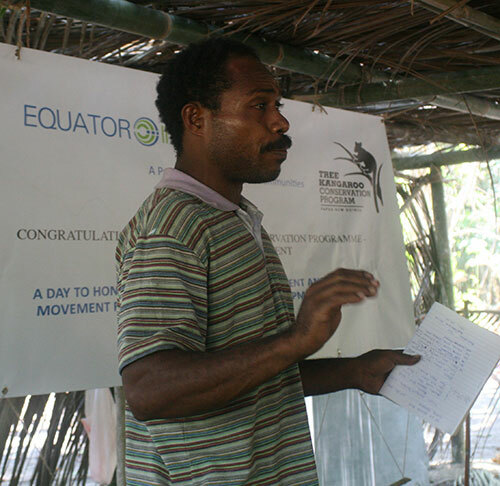 Kuna joined TKCP in 2004, with an Honors Degree in GIS & Remote sensing from the University of Papua New Guinea. 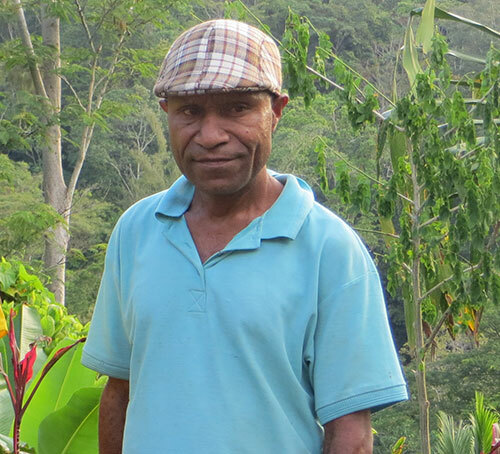 Over the course of his time with TKCP, Kuna has shaped the tree kangaroo tracking program, conservation area mapping work, and community land-use planning. His GIS skills have contributed to the production of TKCP’s library of maps and various representations of the YUS Conservation Area. Gibson is passionate about issues impacting youth and the environment, both locally and globally. 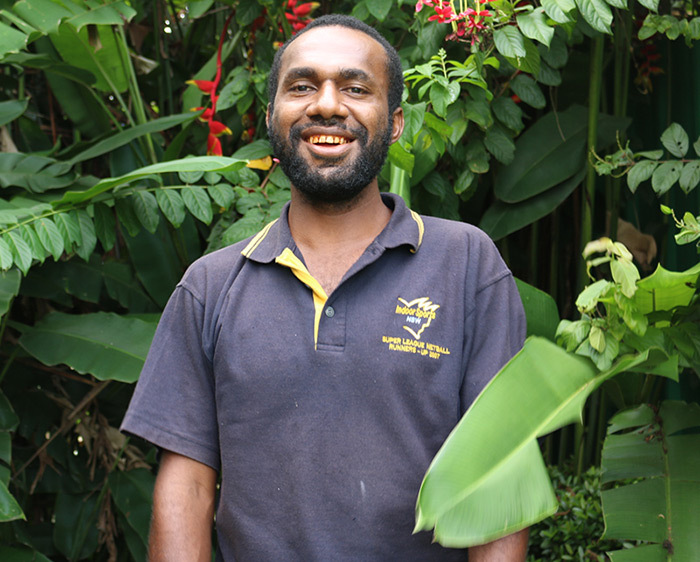 With a Bachelor’s degree in Environmental Science from the University of Papua New Guinea, he has represented Papua New Guinea as a Youth Ambassador at the Asia Pacific Youth Parliament for Water, One Young World Summit, Inaugural Global Intergenerational SENSummit2013, and PNG SIDS Youth. Gibson serves as the focal point for United Nations Major Group of Children and Youth (UNMGCY) and as a representative for children and youth in the Pacific Region for the Post-2015 Development Agenda consultative process. He brings professional experience in youth activism, capacity building, leadership development, and grassroots community engagement to the TKCP team. 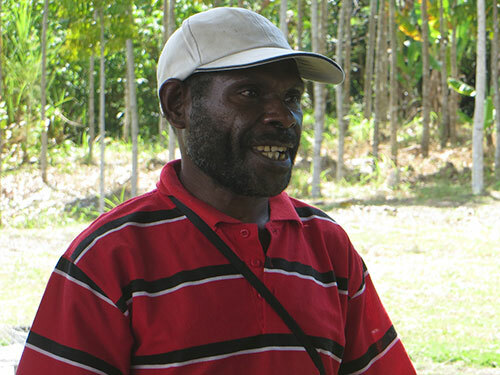 Daniel is from the Eastern Highlands Province of Papua New Guinea. He joined TKCP in mid-2014, bringing more than 5 years of experience in biology and ecological monitoring gained through his time as an intern biologist with the Papua New Guinea Institute of Biological Research. He is currently working to complete an Honors degree in Biology at University of Papua New Guinea, focusing his thesis research on the long-beaked echidna. 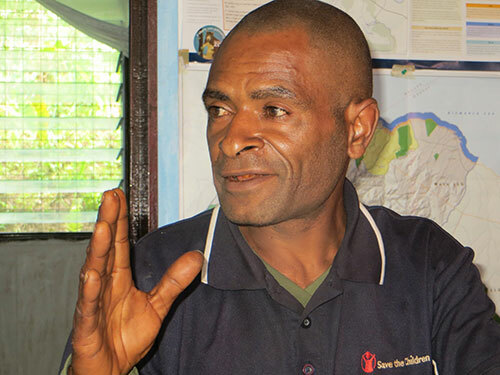 Daniel oversees and coordinates all the research activities within the YUS Conservation Area and seeks to build the capacities of the YUS CA Rangers to effectively patrol the YUS CA. 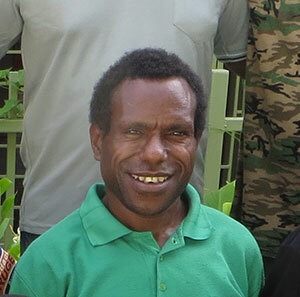 A YUS landowner from Towet and long-time believer in conservation, Dono joined TKCP in 2010. Dono has been a driver of YUS Conservation Coffee, promoting quality control measures and coordinating farm-level activities to ensure the coffee successfully reaches shelves in the US. Namo has been a founding supporter of TKCP since its inception. Over the course of nearly 20 years, Namo has provided insight into community perspectives and culturally appropriate conservation measures. He also serves as a key link to partnerships with the Yus Local Level Government, serving as an elected Ward Councillor for Keweng Parish. Steven provides conservation awareness, community coordination, and support for monitoring activities across the Som Zone. Steven is a YUS landowner from Mumanrang. TKCP’s newest Conservation Officer, Chris joined TKCP in 2014 to promote the program’s “ridge to reef” conservation approach. Chris provides logistical support and community coordination for both marine and coastal activities. 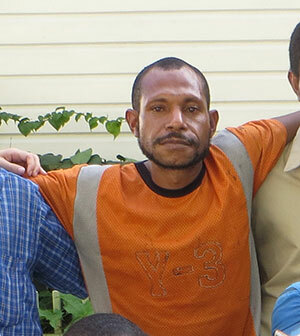 He also is active in assisting YUS cocoa farmers to implement quality control mechanisms. Chris is a landowner from Ronji. 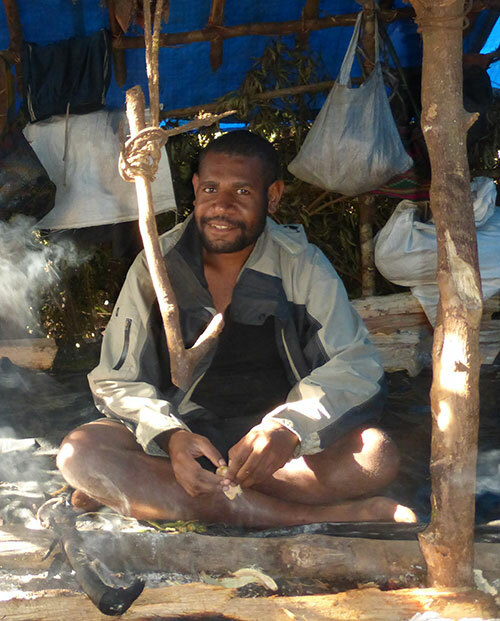 Victor, a YUS landowner from Towet village in Ward 1, has vast experience gained through years of hands-on assistance in tree kangaroo research and conservation work throughout the Uruwa Zone. He officially joined TKCP as the Mapping Officer in 2009. His work has contributed to accurately representing the YUS Conservation Area boundaries. A YUS landowner from Isan village, Matthew has worked as a mapping officer with TKCP since 2009. Matthew completed his high school education and has amassed years of technical experience in GPS technology, mapping, and conservation. Matthew works with landowners to identify and map YUS Conservation Area boundaries in both the Yopno and Som Zones. Originally from Madang and Simbu Provinces, Francisca joined TKCP in 2017. She holds a Diploma in Tropical Agriculture from the University of Natural Resource and Science, Papua New Guinea, and has 11 years of experience working with World Vision PNG developing her skills in project management, financial reporting, facilitation, training, and M&E. She has extensive knowledge of community-based approaches addressing Maternal Newborn Child Health & Nutrition (MNCHN) and agriculture. 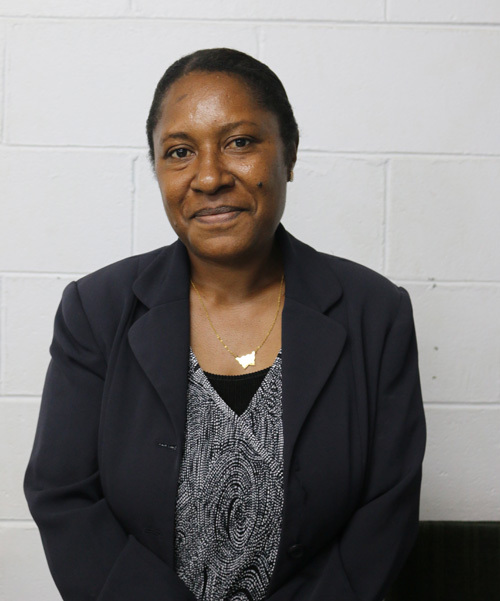 In 2016, Francisca graduated as one of Morobe Province’s four trainers on the Village Health Volunteers (VHV) module under the National Department of Health. She has a passion to see health issues in rural communities improve, using cost-effective approaches and bottom-up planning. Nadine joined the TKCP team as the Administrative Coordinator in 2017. 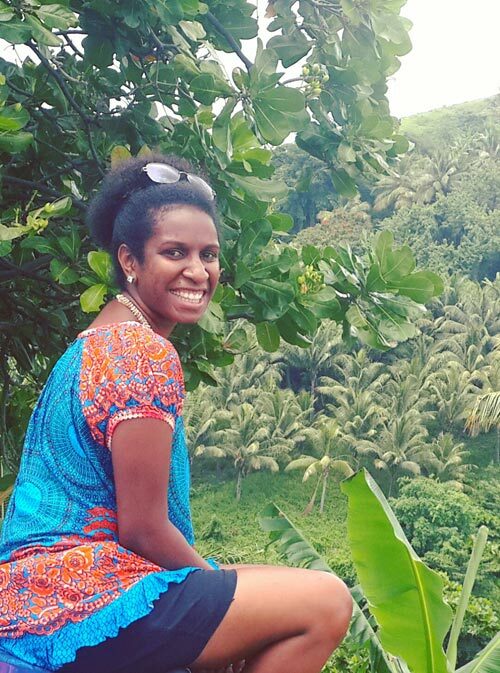 Originally from Madang, she brings experience in research, human resources, and administration. Nadine brings valuable experience in supporting the well-being of staff and international volunteers. She has experience supporting major grant-funded programs including several AUSAID projects and a UNICEF-funded research project on Early Childhood Education.